I hear you bro, this happened to me when I ordered a ‘legit’ copy of Deep Space Nine a few years ago from an online shop claiming that they were ‘original’ ‘licenced’ copies from Paramount in the Chinese market. I got the discs and although they played ok and the packaging was quite good, you could tell they were bootlegs. Every single time a visual effect appeared of a ship or the space station the image ‘jittered’ like crazy and it really, really pissed me off since I am a huge Star Trek fan and I LOVE my Sci Fi Eye Candy. Well done on getting the word out on this, I am going to post my similar experience on my own blog and maybe help people from being caught out by those gorram bootleggers. I really appreciated this write up. 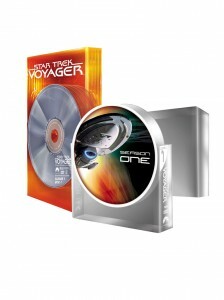 I almost bought a voyager complete set on Ebay that looked legit but the price seemed to good to be true. I decided to do a little investigation, and with the help of Google, found this article. 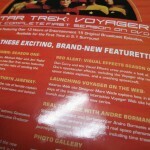 I then discovered that most of the voyager sets being sold on Ebay are fakes. 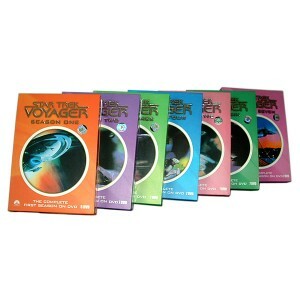 The Voyager set seems to be a popular bootleg item. I can tell a lot of effort went into this article and it’s much appreciated. It pretty much tells you everything you need to know to avoid fakes. I never realized just how rampant the bootleg dvd market is. Hats off to the writer. Nice job! Obviously the reason why these overseas Star Trek collections are so popular is because Paramount is too greedy and the prices in North America are too high. Who cares if the package you get is a bit different or not as glossy as the Paramount version? Personally, I’m only interested in watching the episodes and I have never had any problems with any overseas versions. I would recommend them to all, only then can Paramount learn that they should not exploit the fans by charging their ridiculous prices. ‘Star Trek’ is a business. Episodes don’t just spontaniously happen by themselves. 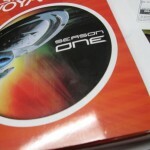 Per http://www.fastcopyinc.com/orionpress/articles/startrekmyths2.htm, it cost 4 million dollars to make an average episode of Enterprise. It costs about 30cents (retail) for a blank DVD. Obviously copying someones work and reselling it is unbeatably cheaper than making an original work. The bootleg set I received was only $80 cheaper than an authentic set. 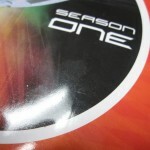 The physical fabrication costs of the boxed set is lower than the legitimate copy. There are also no actors to pay, no set construction to finance, no grips, no editors, no directors, no writers, no artists. So why would I feel happy about spending $252 to line the pockets of a pirate when I could just steal it myself off the internet? 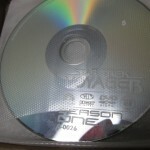 ‘Overseas version’ producers aren’t selling fake DVDs so they can stick it to Paramount for some sort of pricing-justice, they are doing it because they see an opportunity to profit off of people who don’t realize the full cost of producing a quality television show for a niche-audience. If you don’t think you’re getting good value for your money that is your call. 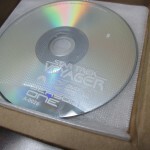 I am not going out on a limb when I say that the first couple seasons of Voyager have not been Star Trek’s finest. 😉 But there are affordable legitimate options: Netflix accounts are around $20/mo, which is fairly cheap. If that is still too rich for your blood there is the local library. 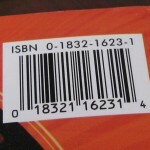 There are 3 copies of the DVD set on the Portland area library system. I could reserve whatever disk I want, and have it shipped to a library of my choice for pickup. Cost out of my pocket: $0. Thanks so much for this warning! I was shopping for the complete Voyager DVD set used, but now I think I’ll hold out for pricey one from Paramount because I would hate to get a bootleg, like I did with the Columbo series from Planet DVD–it’s real bad for $80. Yeah, I’m using my local library for viewing but I’ll check out Netflix. I liked your site, Squid. You did a nice job informing us of fakery. I wouldn’t like it if someone made money off me without my copyright permission. Karma is everywhere. Shame on Amazon. Thanks Art Dude.